Please enter all information with proper capitalization. Any and all unknown occupants will be added. You don't need to add them. You must include all parts of the address. If there's a unit number, it MUST be listed or the day notice is invalid and you can enter that on the next section. You must include a unit/floor number if they rent out a portion of the property. Assuming there is service of the notice at least several days before the end of this month. If you're using mail service or special process server, the notice should be processed by no later than the 15th of each month. DO NOT SERVE AN UNSIGNED EVICTION NOTICE! By selecting special process server, you'll potentially engage Fastpace Process & Investigations to serve your notice. Fastpace generally makes 4-6 attempts at service at the property and can communicate with you directly in order to reduce the barriers to getting service on your tenant. A copy of the notice will be forwarded to Fastpace and you will be included in the email in order to begin communicating. IT IS IMPORTANT TO SELECT ONE METHOD OF SERVICE AS IT CAN CREATE COMPLICATIONS IN YOUR POTENTIAL EVICTION CASE. Chi City Legal bears no responsibility in the service or non-service of notices. The law in Illinois concerning mailed notices requires certified mail, return receipt requested. However, many tenants won't accept mail from their landlord if they suspect it is an eviction notice. Sending an additional notice via regular mail helps the letter get through in case the certified mail is rejected. Your letters will be sent out using a service called Docsmit. SERVICE BY MAIL CAN BE A RISKY ALTERNATIVE TO HAND-DELIVERY AND CHI CITY LEGAL GENERALLY RECOMMENDS HAND DELIVERY. You will be provided with tracking information upon the letters being sent. IT IS IMPORTANT TO SELECT ONE METHOD OF SERVICE AS IT CAN CREATE COMPLICATIONS IN YOUR POTENTIAL EVICTION CASE. Chi City Legal bears no responsibility in the service or non-service of notices. THE USE OF THIS FREE FORM DOES NOT CONSTITUTE THE CREATION OF AN ATTORNEY-CLIENT RELATIONSHIP AND ONLY SERVES AS A PUBLIC SERVICE. Chi City Legal, in its sole discretion, will make the final determination of costs and fees as set forth in an engagement letter if we agree to represent you. 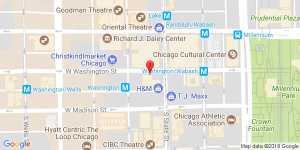 Note that any communication with Chi City Legal via through this website does not constitute or create an attorney-client relationship with Chi City Legal. A conflicts-of-interest procedure must be completed by Chi City Legal prior to the establishment of an attorney-client relationship. Only after you execute an engagement letter from Chi City Legal you will be our client and then you may freely begin to exchange information with your attorney. By clicking the button below you agree that we may review any information you transmit to us. You recognize that our review of your information, even if it is highly confidential and even if it is transmitted in a good faith effort to retain us, will not preclude us from representing another client directly adverse to you even in a matter where that information could and will be used against you. You further agree that we may use your information for marketing purposes. Charges cover the method of service and costs associated with the processing platform. Charges are not associated with attorney's fees.